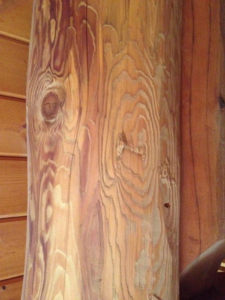 There are 3 basic ways of removing the old stain and deteriorated UV damaged wood from a log home. Sanding, media blasting and chemical removal. Which one is best? Sanding is labour intensive process using angle grinders and sanders removing the old stain and deteriorated uv damaged wood. This process is the the most environmentally friendly process only removing what does not belong. This process does not bring any foreign products on site that may potentially cause issues with the log home. It will leave the smoothest and most cosmetically pleasing appearance. 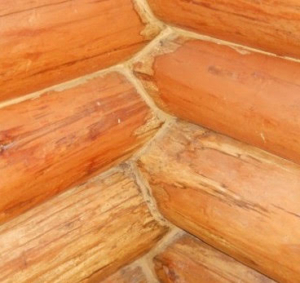 Media blasting is the quickest way to remove stain and deteriorated wood from a log home. Media blasting is a process in which media is applied against a surface using compressed air. 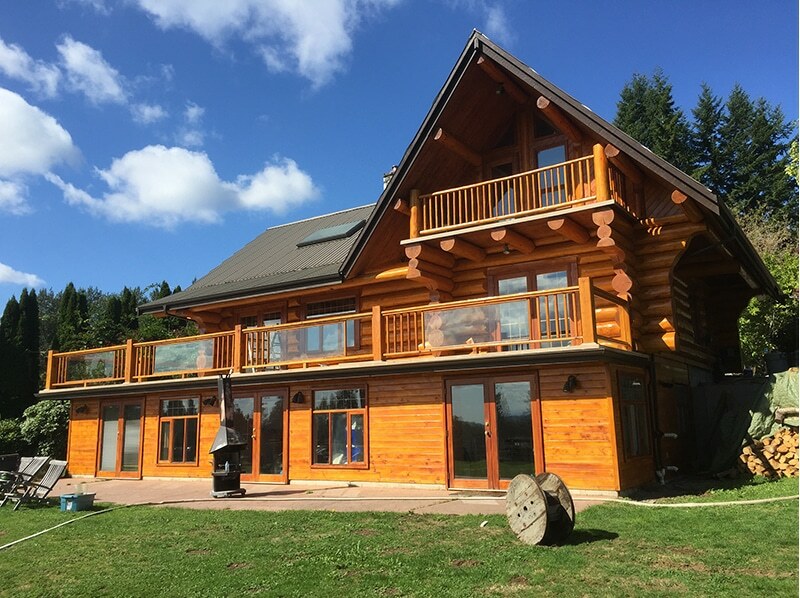 It most cases it is too aggressive and will leave the surface of the log home with a rough raised grain surface exposing different layers of the wood and raising the grain of the logs. This roughness on the surface can cause blotchiness when stained. Some medias are organic such as corncob and walnut shells which can absorb moisture making any organic media that is left behind acceptable to decay and mold, a log homes worst nightmare. 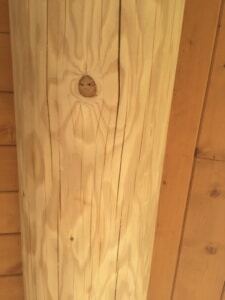 Media blasting can also blow dust into your log home due to the high pressure used in blasting. Chemical removal is a process in which a chemical is sprayed onto the surface of the logs and washed off with pressure washing. It will remove stain efficiently however it will not remove the deteriorated uv damaged wood. The chemical may also ruin existing chinking sealants. It may also will leave blotchiness and streaks and may leave water stains if not rinsed properly. Some chemical removers will change the ph on the surface of the logs, which may change how the stain adheres to the logs.